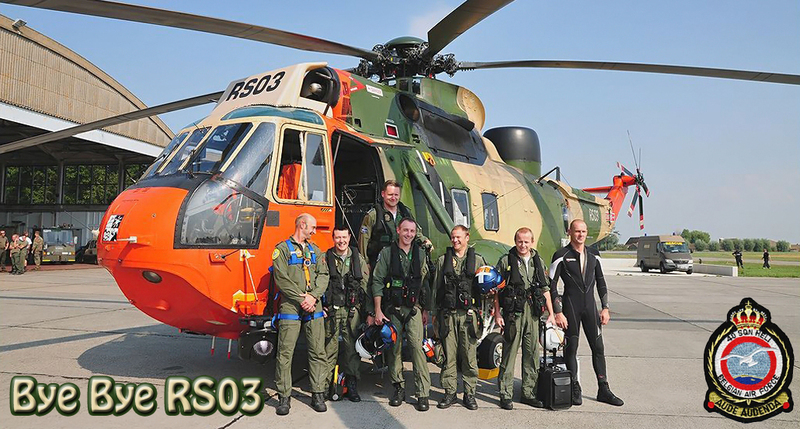 “All good things come to an end”… Last Thursday; August 29, 14:21 Hr Local Time, the Sea King RS03 flew its last flight before retiring after 37 years of service within the 40 SAR SQN. The airframe will be used for spare parts to keep the remaining Sea King operational. First flight was on April 9th, 1976. Good Bye RS03 and thanks for all you did for Belgian Air Force and the people you saved! By the way, on September 2nd, the Seaking did his 3.000 scramble mission. This was an urgent organ transport mission to UZ Gent.